Need to find the truth? We can help! Here at Private Investigator St Austell we can conduct a lie detector test giving you the facts. We cover the whole of the St Austell area. Whether you have been accused of being unfaithful in Bugle-Stenalees, steal at work in Saint Blazey-Par or gossiping in Saint Stephen, we can help clear your name. 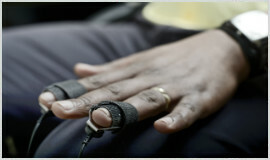 The price for a lie detector test in St Austell is from £499 + Vat when conducted from the comfort of your own home. Call our St Austell on 01726 432025, to book a lie detector test with an expert St Austell based full qualified polygraph examiner or email us on contact@privateinvestigator-st-austell.co.uk. We conduct our lie detector test services across St Austell, Saint Blazey-Par, Saint Stephen, Mevagissey, and Bugle-Stenalees.